As a blogger, the Fall months are BUSY! This is the time of year when bloggers gather to attend conferences to learn, network and well just hang out together. For much of the year we sit at home behind a screen working away, talking with one another online trying to get our voices out there. Being a professional blogger can actually be a lonely life, it’s actually quite easy to become absorbed by the virtual life we lead and overlook “real” face to face interactions on a regular basis. This blogging gig isn’t a 9-5 job. Emails arrive at all hours, offering opportunities; bloggers are found scrambling to finish an article after the family time is done for the night. Professional bloggers work tirelessly to earn their living by providing quality work to clients while keeping things interesting and FUN for their readers. If you’re reading this, you already understand what a blogger is. When I try explaining that to someone I happen meet at a dinner party and I’m often greeted with the deer in headlights look. 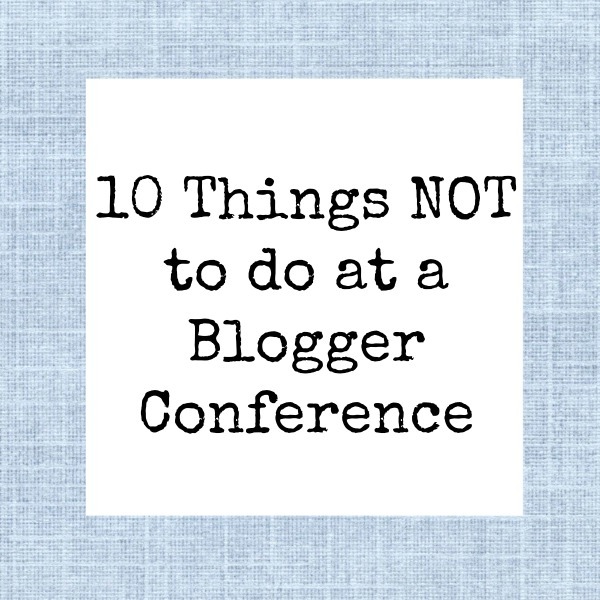 To say it can be frustrating is an understatement which is just another reason why blogger conferences are a highlight of the year. Bloggers get the chance to spend time with like-minded people who don’t mind pausing before eating a meal so others can snap a photo of it. Right now as I write many bloggers are making lists of what to pack, getting pedicures, creating presentations and accepting invitations for private functions at conferences. It’s a busy, high-energy time and I thought I’d outline some things to avoid doing at conferences. Try To Be Someone Else – This applies at all times, honey if you’ve been building an image online which doesn’t match in person, everyone will see it. If you buy a whole new wardrobe, affect an accent or just try to be a different person than you actually are….well that’s sad and people will spot it a mile away. The key to success in blogging and at a conference is to be exactly who you are. You ARE amazing, you’ve been working hard to get where you are and conferences are actually the place where you can land softly among folks who really do get it. Keep Your Head in Your Device – In my past corporate life, I often spoke at conferences so when I attended my 1st blogger conference I was SHOCKED during the first session when I looked around the room and didn’t see a single set of eyes on the speaker. In a room of hundreds of bloggers, everyone was busy online tweeting key points or doing whatevah and nobody was actually participating within the room. If you are someone who would rather type furiously rather than be in the NOW, go for it but you’ll be missing nuances. Show Up Late During a Session & Try to Find a Front Row Seat – It’s really easy to lose track of time at conferences, there are SO many folks to connect with that I’ve often found myself late for a session I didn’t want to miss. If this happens, slip in quietly and grab a seat at the back if there is one. Forget trying to find the friends you were going to sit with, or one with a view where you can snap a fab photo….you’re annoying if you’re meandering around the room once the presentation has begun. Talk Only About Yourself – Gahhh how awful is it to be stuck chatting to someone who has NO interest in you? When we’re at conferences we often have to give our elevator pitch and tell others about ourselves and out blogs but try to be aware of the level of interest. If you’re nattering about yourself and people’s eyes are glazing over you can be sure it’s not a good thing. Get people talking about themselves, make REAL connections and friends! Be THAT Girl/Guy At a Party – There’s always at least 1 person who are the talk of the conference following a party. Someone who was hammered, inappropriate or just so out there that other attendees are beside themselves. Remember that we don’t actually know everyone in the room and first impressions can only be made once. Much like the company Christmas party, at conferences we are “off the clock” but are we really? Be a Stalker – We’ve all felt the excitement when we realize a brand we’ve been dying to work with is in da house but there are limits to how we should show our enthusiasm. Don’t stalk them around the room or at their hotel room door. Instead go right up to them and introduce yourself, be BRAVE and remember to have that elevator pitch ready. Lose the Cards – One of the most valuable things you’ll take away from a conference is business cards from the people you meet. Make sure you have a safe spot in your purse or bag for them. Make notes on the cards to remind you of conversations you’ve had so that you can recall it later. You’ll be experiencing a condensed weekend with so many connections, it’s easy to lose things or forget exactly who people are. Trash Others – While we are promoting ourselves the WORST thing you can do is trash another blogger. Try not to make comparisons, just highlight yourself and your attributes. There are ears everywhere, and hell friends why do we need to trash talk anyway? Let’s focus on the positive! Forget to Set the Alarm – Hotels have wake up calls – use them! Late nights, little sleep and excitement can wear you out so get the alarms set to make sure you’re up. Be a Wallflower – This is your time to SHINE. Get out in the room and get to know people, it may look like everyone but you knows people but I guarantee you people want to get to know you. These conferences are rare opportunities to make friends and business connections, seize the day! This is a VERY brief list, I hope my bloggy friends will comment with more. Suffice it to say that conferences are a BLAST and we should all go in looking forward to them. We just need to remember to be ourselves and behave as we normally would in real life. I have been on both side, an attendee and a person that organized big conferences for the RCMP. The best advice that you gave was to be yourself. Period. I have seen too many people that try to impress, that does not work. At the end of the day you will go back home and feel alone in front of your computer. You can only make real connections when you are yourself and listen to the people that your are meeting. We have the proof that these connections will last because we met at a conference and then we were always happy to see each other at other conferences. If I had not taken my chance to ask if I could sit at your table I would have missed a big opportunity to meet an awesome person. IT’S HARD NOT TO BE A WALL FLOWERS SOMETIMES. Oops I didn’t mean to scream that. Caps lock. Anyways these are great tips. I agree wholeheartedly with number five. Don;t be a fool and get hammered – this is a business. Treat it as one. There are no excuses for that. None. I am often late for sessions. It seems inevitable sometimes at conferences. I try to get there but there are so many other things BUT that said I don’t shove my way to the front when that happens. Thanks Julie, These are great reminders and confidence boosters too. Thanks for the tips. I’m new to blogging and attending my first conference BlissDOM CA. Super excited and super nervous. I don’t know what to expect and this “elevator pitch” is making me even more nervous. I will try to SHINE and not be a Wallflower. 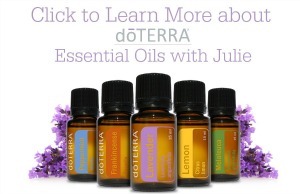 Thanks for this great post, Julie! I’ve always admired your writing and tips from a season blogging pro help for this newbie conference goer to read! I was all worried about having a new wardrobe for the FBC conference…then I thought…I’m not a “fashion” person, I’ll wear what I have in my closet and makes me comfortable. Hope to meet you! These are GREAT points, Julie. I was nodding my head all the way through. These are great tips for any networking event. Awesome post Julie. So many people these days try to be someone they’re not and it’s true, people see through the facade. I am who I am and if people don’t like me as I am it’s no sweat off my back, move on to the next person! As for the devices, I’d probably use mine to take notes but then again plain old pen & pad of paper shows that you’re actually paying attention. Make sure to welcome people into the conversation. If you see someone sitting by themselves make sure to invite them into your circle of friends. Everyone was a newbie to a conference at some point in time. Don’t forget what it was like to be on your own in a group where many know each other well. This is perfect! I will be attending my first ever conference in May. I am excited bit also anxiety ridden because this is all new to me! I am excited to meet people face to face, I’m just afraid once I get there the real me will be overshadowed by nervousness. I could really fall into the wallflower category if I’m not careful.